nothing deteriorates faster on your Houston or Kingwood home in our South Texas Climate than the roof on your home or business. Whether you have an asphalt shingle, tile, cedar shake, or other type of roof, you will eventually get those ugly black streaks that can eventually take over your entire Houston area roof. Those black streaks on your Houston area roof are actually a form of algae called Gloeocapsa magma (a type of blue-green algae commonly found in climates with warm, humid summers) and they are eating away at the shingles of your Houston area roof. This algae will cause you to replace your roof prematurely, costing you thousands of dollars. Roofs on average are being replaced in South Texas every 7-12 years when they should be lasting 15-25 years, depending on the quality of the shingle. 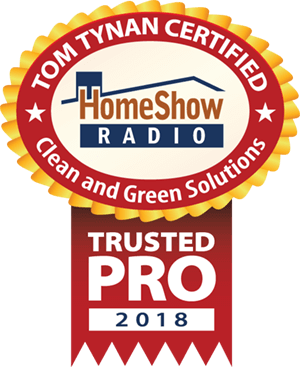 A roof cleaning combined with maintenance will prevent premature replacement and save you tens of thousands of dollars over the life span of your home. Clean and Green Solutions pressure washing company of Kingwood TX, provides a SOFT WASH non pressure roof cleaning service that will remove those black streaks immediately and return your roof to its original color and beauty. 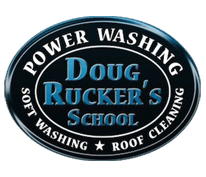 Our roof cleaning process uses environmentally safe roof cleaning products that are safe for you and the environment. In most cases we are able to clean your Houston area roof with out ever having to step foot on it. In cases that we must walk the roof, we have the training, expertise, and equipment to do so SAFELY without risk to us or your roof. We do not use high pressure for our roof cleaning. 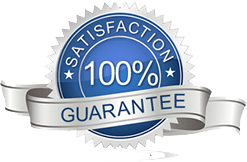 Instead we use a soft gentle approach that allows the roof cleaning products to restore your Houston area roof to it’s like new condition. According to Dr. Victor H Morgenroth, who is a semi-retired adjunct professor at UM; the ” dirt ” on roofs could actually be causing illness. Here is an excerpt from an article that was written by Dr. Morgenroth. It isn’t just aesthetics. While people like to say that dirty roofs lower a property’s value and may make it hard to sell, the “dirt” on a roof actually shortens its life span and can even present a health hazard. Furthermore, the “dark stains” on a roof act as a sponge to absorb the sun’s heat, which causes a rise in the temperature inside a home or building, creating higher air conditioning bills. The dirt isn’t just dust It’s alive. Some of the black or very dark roof stains are caused by a resilient type of algae, Gloeocapsa magma (a type of blue-green algae commonly found in climates with warm, humid summers). The algae grow in standing water, as well as in our lakes and ponds. The algal spores are carried to our roofs from the water sources by the wind and birds, and then from roof to roof where it grows and feeds on the limestone filler in asphalt shingles and the real dirt on tile roofs maybe in some cases the tiles themselves. Worse still, as the algae grow, they retain water and foster the growth of other roof inhabitants. The tar used in roofing is fossilized, dead organic matter — and an important food source for fungi. Asphalt, at the granule base, is normally consumed first. Once these granules dislodge, accelerated deterioration will occur. Ceramic granules represent the outer hard shell that protects against hail and other falling debris. Ceramic granules protect against damaging UV radiation and insulate the roof against extreme heat. So you can understand that their dislodgement by the growing fungal colonies can be detrimental to our roofs’ longevity. Surprisingly, the blue-green algae are also food for the fungi. Request a Roof Cleaning Quote by filling out the form below!